Chinese President Xi Jinping and U.S. President had a telephonic conversation in which they discussed a range of issues from the situation in North Korea to the recent missile strike in Syria, China's foreign ministry said. Trump has been maintaining warm ties with Beijing and has repeatedly called on it to step up its efforts to rein in North Korea, which has stepped up its missile development and nuclear program since 2016. 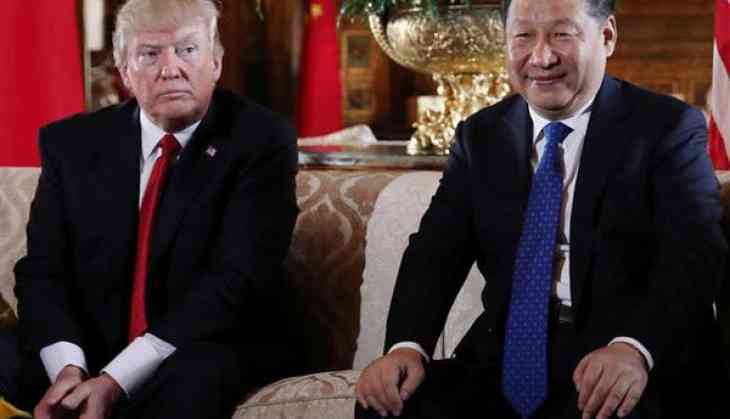 "I explained to the President of China that a trade deal with the U.S. will be far better for them if they solve the North Korean problem," he tweeted. "North Korea is looking for trouble. If China decides to help, that would be great. If not, we will solve the problem without them! U.S.A.," he wrote in a second tweet. According to a statement from China's Ministry of Foreign Affairs (MOFA), Xi reiterated Beijing's demand of a denuclearized Korean peninsula. "China advocates to resolve the issue through peaceful means, and is willing to maintain communication and coordination with the US on the Korean Peninsula issue," the statement quoted Xi as saying.